Infobip Wins EY Entrepreneur of the Year! 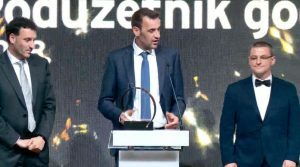 Share This: Croatia’s 2019 Ernst&Young Entrepreneur of the Year is Infobip! Fifth Croatian edition of the most prestigious global competition recognizing entrepreneurial achievements took place at Lauba in Zagreb, which guaranteed a night of positivity and hope for Croatia.